Barbecue season is back and we couldn’t be happier for the warm weather and backyard grilling that’s going to happen during this wonderful time of year. While having the perfect steak, chicken, brisket, or ribs on the grill or smoker are great, there is always room to spice up meals with a delicious side, like an easy pasta salad. So my question to you, are you in the mood for something delicious? 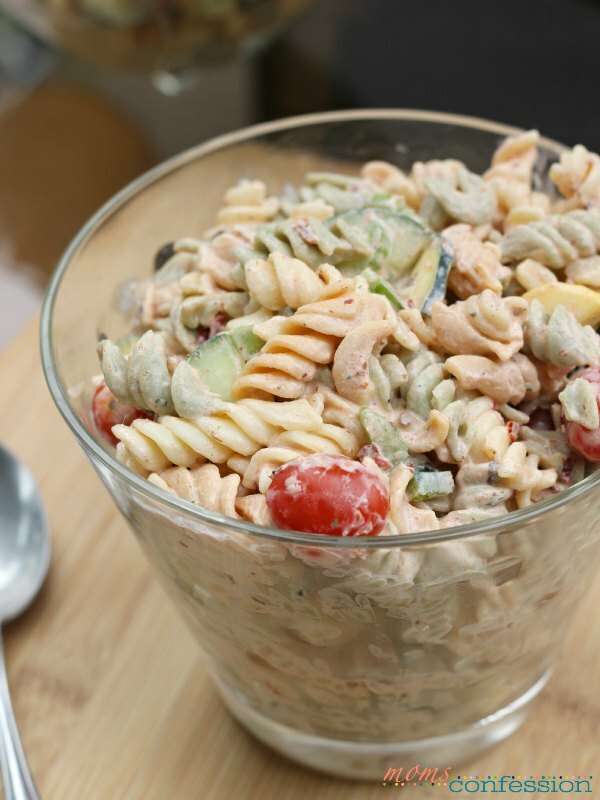 This Chipotle Ranch Pasta Salad is something worth creating for your family. It’s an easy pasta salad that only takes a few minutes for preparation and less than 30 minutes to get it on your plate! Sounds good, right?!? Pasta salads are great any time of the year, but they are exceptionally good during the summer and spring. Whipping up an easy pasta salad as a side dish can make any meal come together completely. I’ll be honest and say that my family loves this pasta salad and it’s one they frequently ask for. I think the combination of chipotle and ranch together make for an awesome side dish. I love how the colors really come together in this Chipotle Ranch Pasta Salad. It’s bold, beautiful, and amazingly delicious too! 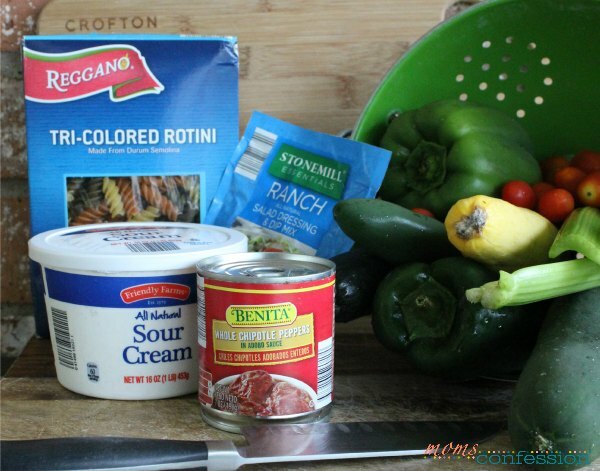 Cook Reggano Tri-Colored Rotini Pasta Noodles as directed on the package. While the noodles are cooking, complete steps 2-5. 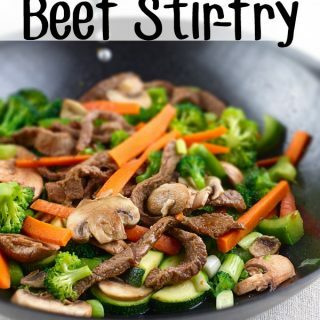 Rinse and coarsely dice fresh vegetables, then set aside. Open the chipotle peppers and place in a vegetable strainer and rinse to remove the Adobo Sauce. Place Benita Whole Chipotle Peppers in a food processor to puree/blend into a paste. In a bowl, mix Friendly Farms Sour Cream, Stonemill Essentials Ranch Salad Dressing Mix, puree/paste Benita Chipotle Peppers and seasonings together well. Set aside. Once the noodles are completely cooked, rinse with cold water to prevent the noodles from sticking together. 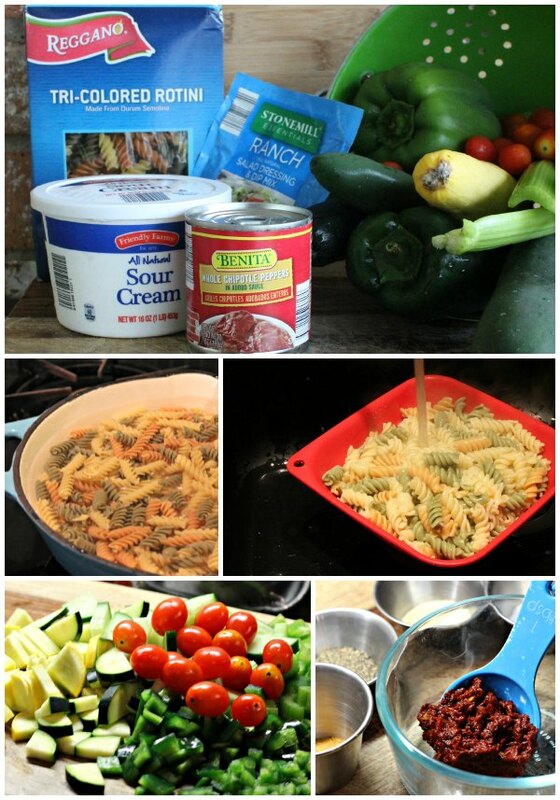 In a large mixing bowl, toss pasta noodles and vegetables together. Add chipotle ranch mixture to the bowl and toss together well until everything is well coated. Serve and enjoy this easy pasta salad with friends and family at your next backyard barbecue. Get the printable version of this Easy Chipotle Ranch Pasta Salad below. 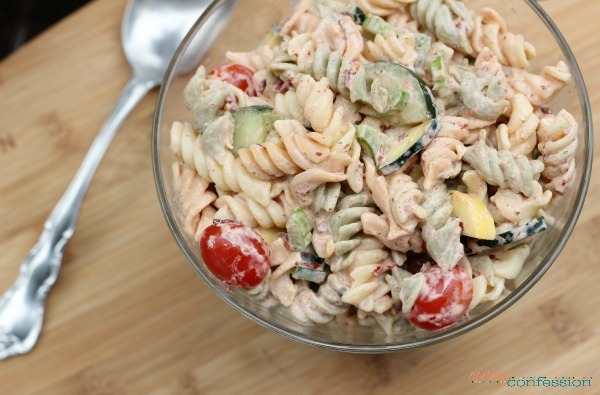 Looking for an easy pasta salad recipe the entire family can enjoy? Look no further and learn how to make this easy chipotle ranch pasta salad. I love pasta salads! This one looks like a winner! Pasta salads are fantastic! :) Hope you enjoy it, Stephanie! Chipotle and ranch are two of my favorites – can’t wait to try this salad and see how they taste together! Ranch and chipotle are perfect together! Let me know if you like the recipe! Looks amazing! What’s your favorite tip for saving the rest of the chipotle peppers? :) Do you save the sauce with the peppers? 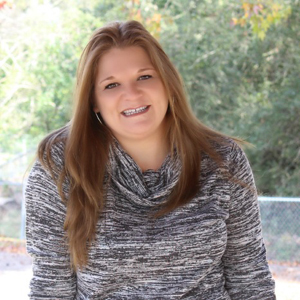 Thanks Kristin! For this recipe, I rinsed the adobe sauce from the peppers and just stored them in the refrigerator to use in a couple recipes during the week. Otherwise, I like to puree the sauce and peppers together in my food processor and store them (small quantities) in the freezer to use in the future.